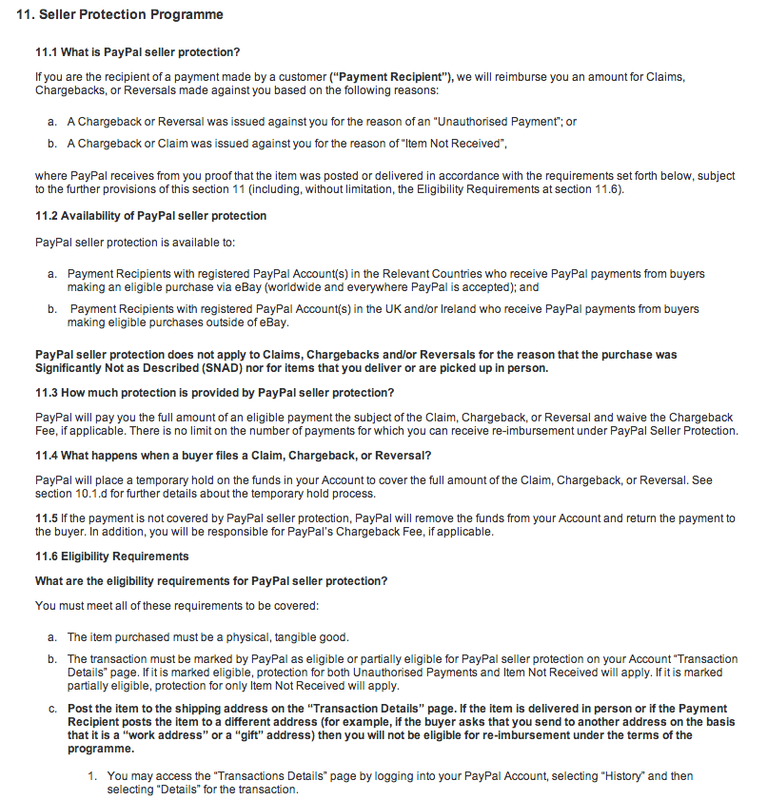 The truth about Paypal – Can you really trust them? We all love Paypal don’t we? They are friendly, quirky, simple and make all of our lives easier. The ad says so. As a seller they have a brilliant seller protection programme, that protects you from chargebacks. So far so good. But it happened to me on my data business that I recently sold. A person in the US paid £799 for a copy of my full business database, added all of the checks and balances required to pay with a credit card online. My system sent them the email with the download code and they duly downloaded it – even to the area of the city the card was registered in. And two hours later they started a claim for a chargeback. It’s okay i’m protected by Paypal’s first class cheeky, chirpy seller protection programme aren’t I? But no. I’m not. Because I didn’t POST them a disk with the data on it. So Paypal, a business that has grown entirely to serve the digital economy in which we trade, does not protect sales of items that can be paid for and transferred digitally. It’s all clearly explained in paragraph 11.6 on page 12 of their 31 page terms and conditions that we’ve all read. Right? Well, apparently as the goods I sold weren’t ‘tangible’ they had no value. Any brand that has a truth which is that far from a users reality will soon get found out. It’s an untrustworthy, rotten way to do business. So be warned. If you are selling a service, a download a digital file or anything that won’t go in a good old fashioned letter box, then maybe Paypal isn’t for you. I’m not using them for my next business, I think i’ll give Sage Pay a try instead.